This feature will keep track of prominent tweets from key BJP leaders on their favourite subject: Narendra Modi. When they’re not tweeting about their own achievements, BJP leaders often tweet about Prime Minister Narendra Modi. Tweet Tracker from ThePrint will keep you updated on the latest tweets of the week from the Modi government’s top ministers and chief ministers. These are tweets by the leaders about the Prime Minister and do not include RTs, tweets of articles about Modi and other non-original tweets by them. Tweets by central government ministers are listed first and are followed by Tweets by chief ministers. 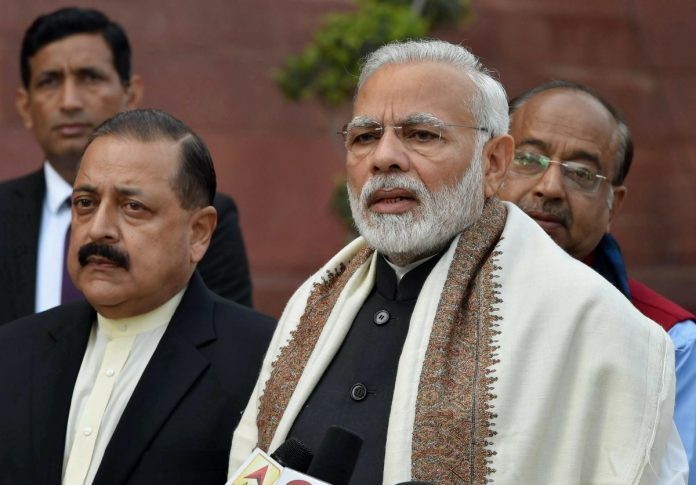 The tweets this week mostly dealt with the performance of the BJP in the three northeastern states, with ministers and chief ministers congratulating the Prime Minister on them. Most of those who tweeted said the electoral results were a vindication of the government’s policies. The biggest event of the week was the Prime Minister’s radio address ‘Mann ki Baat’ and many of the leaders’ tweets were about his speech. This week most tweets were devoted to the Prime Minister’s speech in both houses of Parliament, and his visit to the Middle East. Most party leaders referred to the many historic agreements that were signed during the Prime Minister’s visit to the Middle East and there were plenty of congratulatory messages for the award he received from the Palestinian president. The biggest event this week obviously was the Union Budget. But while the rest of the nation wasn’t very effusive in its praise of the Budget, it wasn’t the case with leaders from the ruling party. All BJP leaders and chief ministers were tweeting about the schemes in the Budget and how they would all be game changers. Prime Minister Narendra Modi was the first Indian Prime Minister in Davos since H.D. Deve Gowda in 1997, and it was understandably the topic of discussion across social media. ThePrint’s Shekhar Gupta wrote that Modi’s speech to the plenary of the World Economic Forum was crafted carefully to avoid controversies, but had significant messages. Here’s what ministers and chief ministers of the BJP had to say on Twitter about the landmark visit and the buildup to it.